The Wisconsin Department of Public Instruction has released the 2017-18 State Report Cards. 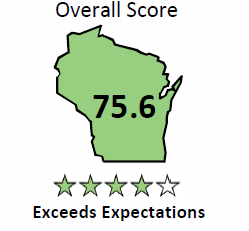 We are pleased to say that the WGSD has exceeded the state's expectations with an overall score of 75.6. For more information on what this means please read the Report Card Informational Letter.